Trustworthy detection and clear, simple alerts. Ferroguard Guardian is always on, always detecting giving you the confidence that it will do its job when it really matters. With other FMDS design limitations can create detection gaps allowing significant risk items to pass undetected into Zone IV. 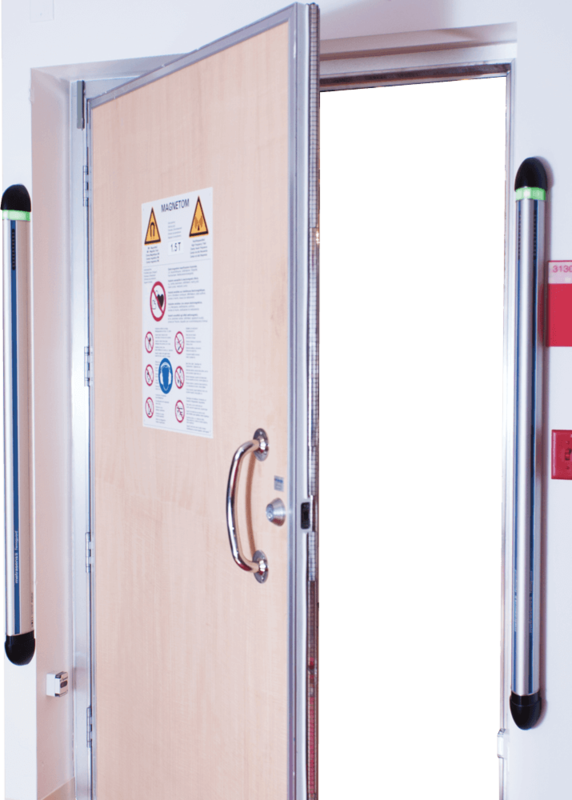 Ferroguard Guardian is always wall-mounted outside the MRI door in Zone III, rather than inside the doorframe like alternative FMDS. 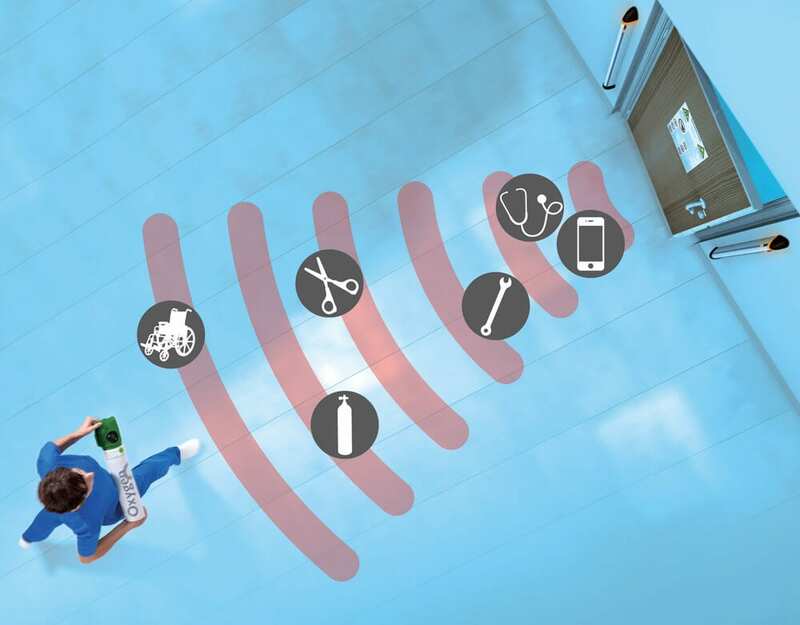 This means no detection gaps or sensor activation delays – even with outswing doors. An FMDS mounted inside Zone IV is simply too late to meet ACR guidance to use FMDS for screening persons and devices approaching Zone IV. Choose Ferroguard Guardian and be confident that your FMDS will alert you in those crucial seconds that make the difference between incident and catastrophe. Ferroguard Guardian’s superior sensors provide detection reach in advance of the threshold. With its clear and intuitive eye-level traffic light Visual Early Warning (ViEW®) system it gives you time to react to prevent an accident. A secondary audible alert gives additional warning if the Visual Early Warning is ignored. Ferroguard products are the only FMDS designed and manufactured under ISO9001 intenational quality standard; just like your MRI system, patient monitors and probably every other medical device in your facility. Always on, always detecting before, not beyond the door. Intuitive, eye-level, traffic light display alerts you to risk items. In case the Visual Early Warning System is ignored. Constructed from ruggedized, industrial grade aluminium and will look good for years to come. The only FMDS designed under ISO9001 international quality standards. Professional installation by fully certified Ferroguard engineers. Ferroguard Guardian is to be operated indoors only (pollution degree 2). It can be operated at any altitude up to 2000m. Ambient temperature 5°C to 40°C humidity 20% to 90% (non condensing). Permitted voltage range depends on location and which power supply is provided – see below. Temporary overvoltage must not exceed 264 V.
Equipment will withstand transient overvoltages in accordance with category 2 of IEC 60364-4-443. UL Listed – U.S. and Canada for Access Control Systems (UL294) wall-mounted power supply.  MEA approved – NYC Dept. of Buildings. Class 2 rated power limited output. Power supply input 115VAC 60Hz, 0.6A nominal (single phase). Enclosure Dimensions H 13”(330mm) x W 13.5”(343mm) x D 3.25”(83mm). CE compliant wall-mounted power supply. Power supply input 230VAC 50Hz 0.5A nominal (single phase). Enclosure Dimensions H 12.8”(325mm) x W 10.2”(260mm) x D 3.7”(95mm). Has been designed and manufactured to the following standards- EN 61326-1:2006 Electrical equipment for measurement, control and laboratory use – EMC requirements – Part 1: General requirements. Has been manufactured under ISO9110 certified conditions. During our initial use of Cellsense Plus we confiscated contraband in three occurrences from using the product to search inmate property and bedding. Thanks to Cellsense Plus, we found a set of headphones wrapped up in a small plastic bag, magazine with staples in the binding and a razor blade hidden in the spine of a 400-page book. All in all, a successful search. With multiple professional and accrediting bodies involved, it can be difficult to keep track of what the various published safety recommendations and guidelines in the US say. 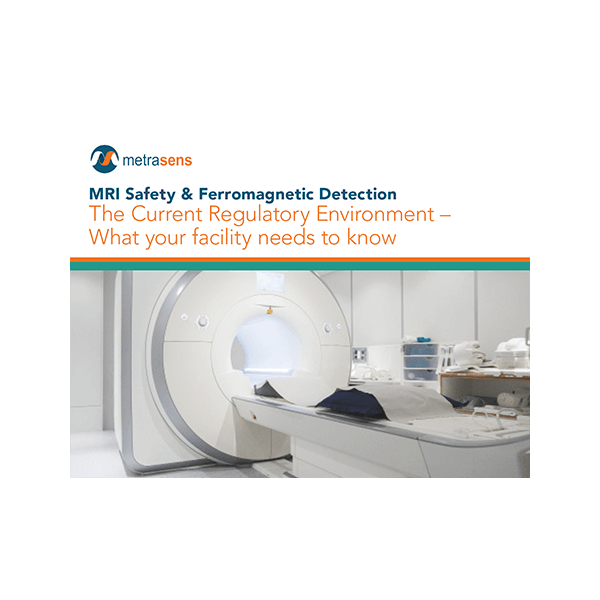 Metrasens is pleased to assist by providing this summary of the present status as it relates to the growing adoption of ferromagnetic detection systems (FMDS) for the prevention of MRI projectile incidents. Ferroguard should not be used to replace current MRI screening procedures. 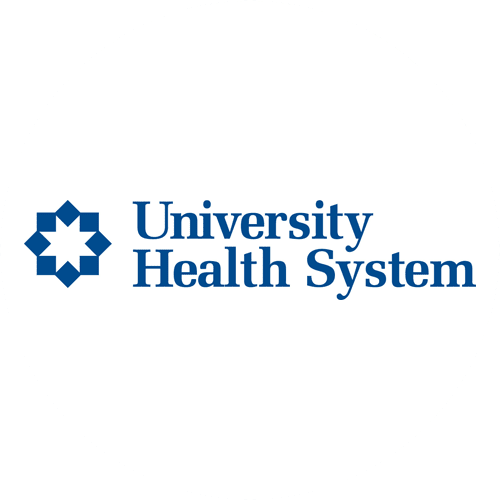 The safety of staff and patients is best served by the combination of conscientious screening protocols, thorough staff training AND installation of a ferromagnetic detection system used in the correct manner. ** ECRI Institute. News Release: ECRI Institute Announces Top 10 Health Technology Hazards for 2015. November 2014.